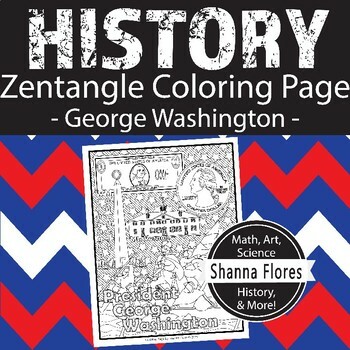 Here's a fun coloring page that can go along with a unit about George Washington. It includes drawings of Washington crossing the Delaware River, his home Mt. Vernon, the Washington Monument, a one dollar bill, and a quarter. This activity is a great way to add a little fun!